Small dogs can sometimes get away with more than big dogs--they're so cute when they jump! But good behavior training will stimulate your dog's brain and help keep both of you happy. 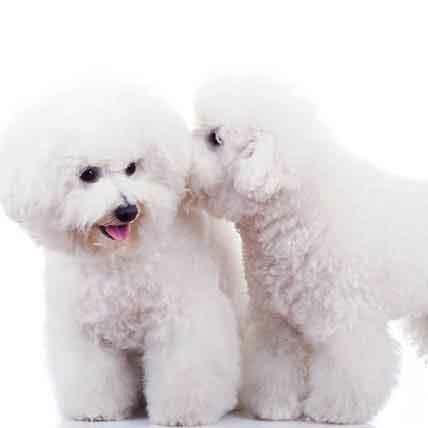 Small breed dogs are just as capable of learning as their larger cousins. Some owners think that their small dog doesn’t need to be trained because really, how much harm could they do? Answer: a lot! 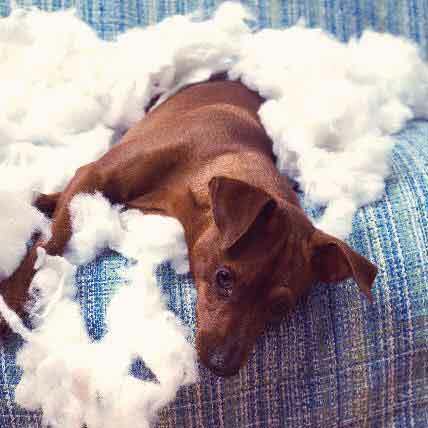 An untrained small dog can end up with a number of behavioral problems, including aggression, pushiness, separation anxiety, and a general disregard for their owner’s authority. These issues can be dangerous for a small dog in a big world. 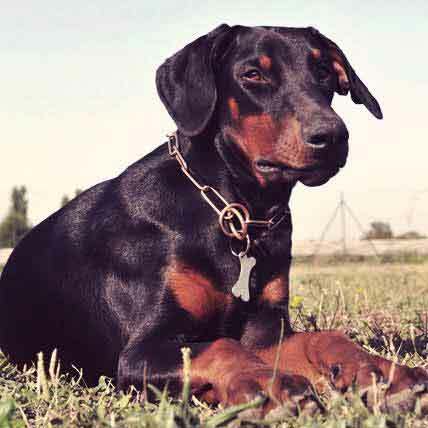 Aside from keeping your dog safe, a well-trained dog is also more pleasant to be around. So don’t wait -- start training your small breed dog now. Below are some tips and tricks that will get you on your way. You’ve heard the saying “you can catch more flies with honey than vinegar.” Well, this is the perfect guiding principle to adhere to when training dogs of all sizes. Dogs respond much better to positive reinforcement than they do to punishment, and this is especially true for small breeds that are easily startled or frightened. Keep training sessions short and positive with lots of praise and rewards for good behavior. Imagine looking up at a much taller, larger being who is shouting commands that you don’t understand. Scary, right? This is the way small dogs feel when we are standing over them during training. In the beginning stages of training, get down on the ground to make yourself less intimidating. Your dog will feel more at ease and less distracted -- a good combination for learning. Once your dog is comfortable and understands some commands, you can stand up and begin training from above. Small dogs can get away with a lot because of their size. Your dog might jump up on you when you walk in the door, pull at the leash, or get on furniture without permission. These behaviors wouldn’t fly with a larger dog, and they shouldn’t fly with a small dog either. If you’re ever in doubt about whether your small dog’s behavior is inappropriate, ask yourself if you’d tolerate it from a German Shepherd. A dog is a dog no matter the size. The “Nothing in Life is Free” approach works well for pushy or entitled dogs of all sizes. If your dog wants to get on the couch (and you’re OK with it), give them a command that they must first obey. Make your dog sit before they eat, or lie down before you let them outside. Your dog will learn that you are in charge, and that good behavior = great rewards. Just as with larger dogs, crate training is a great way to go when housetraining. However there are some important factors to consider when crate training a smaller breed. 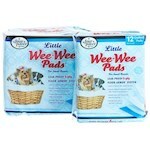 For one, a smaller dog means a smaller bladder. Your small breed dog can’t hold it very long, and during housetraining will need to go out every 2-4 hours (timing will vary depending on your dog’s age and size). Owners who need to be out of the house for long periods of time may want to consider hiring a dog walker or teaching their dog to use training pads. Another factor to consider is crate size. Your dog should be able to stand up and turn around in their crate, but not much else. 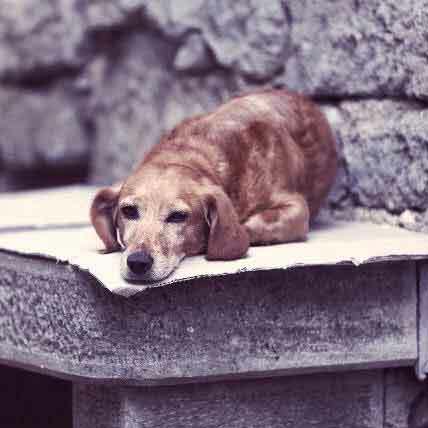 Dogs don’t like to soil their sleep area, but if they are desperate and have enough room to do so, they will. Set your dog up for housetraining success by purchasing the right crate and making regular trips outside. One way to expedite training while building trust with your dog is to introduce some fun and engaging activities -- like tricks! Yes, small dogs can learn tricks too, and will be happy to do so with positive reinforcement using a clicker and/or treats. Choose tricks that are safe for your dog’s size, and keep training sessions short as a fatigued dog is more susceptible to injury. Below are some marvelous maneuvers to teach your petite pal. One of the most charming of all commands, “shake” is the perfect easy trick to teach a smaller breed. Learn about teaching the shake command. This is a trick that will provide lots of mental stimulation. To make learning this trick easier, use a clicker. Directions: Sit down on the floor with your back facing your dog. Guide your dog onto your back by holding a treat up near your shoulders. 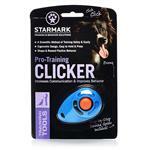 When your dog lifts their front paws onto your back to reach for the treat, press the clicker and offer the treat. Next, get on all fours and lure your dog onto your back with a treat. Once your dog jumps up, tell them to stay and immediately click and offer a treat. Repeat until your dog gets it! Safety tip: Always perform this trick from a relatively low height, especially with extra small dogs. 1All dogs respond better to positive reinforcement than to punishment, so keep training sessions upbeat. 2Get down on your dog’s level as a way to be less intimidating. 3If a large dog wouldn’t get away with it, neither should he. 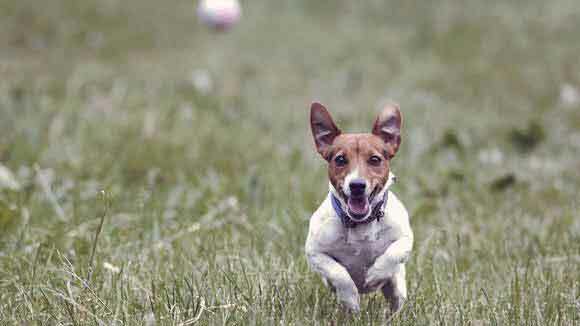 4Teach your dog tricks to keep training exciting -- small dogs are capable of big things!